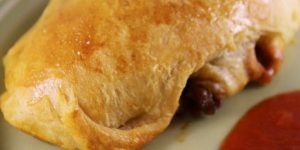 I love recipes like this because they are so easily adapted to what you have on hand. There are so many combinations that would be good—mix it up by using leftover meat or spinach instead of the vegetables listed, or try swapping out different cheeses. Anytime you can reduce waste by using leftovers instead of throwing them away, you save money. 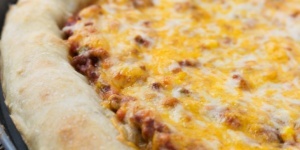 Sloppy Joe Pizza is a tasty way to use up leftover Sloppy Joe meat sauce. Serve with a salad for a complete meal.